I think he is doing the GRC in the "Titan" class: it's a spec car with a Hyundai looking shell on it. Things happen for reasons, not excuses. Are they hybrid? I can't find anything about hybrid systems in those cars online, looks like 2.3 ecoboost powered. However, Paddon have quite a big following, and a good working relationship with Hyundai NZ. It is a lost opportunity. Than in a non-hybrid, spec series? 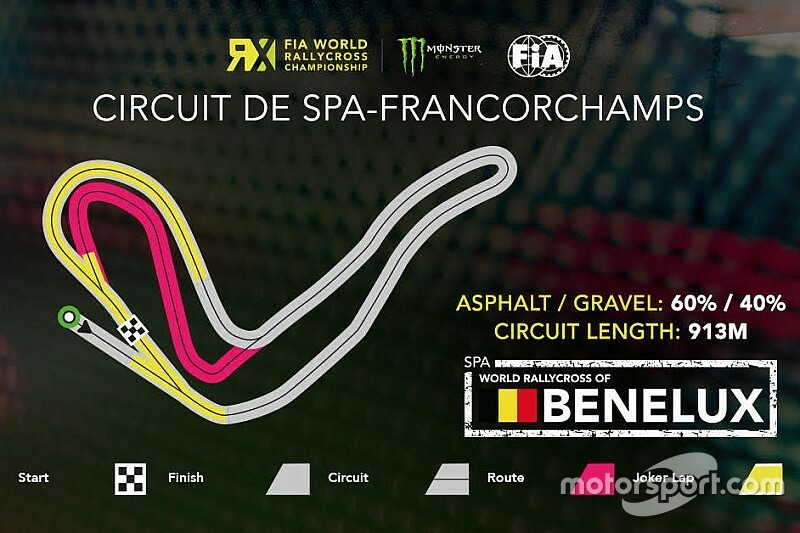 While the layout for Spa is ready. Meh. Really disappointed in this. Also, they had a magnificent chance here to build a proper RX track, with proper gravel sections etc. But instead it will be just like every other new goddamn awful track. Keep digging your own grave WRX. Lydden Hill in anti-clockwise format. GRCE is looking more appealing by the day. Does it as short as COTA..? Gronholm RX will announce their plans next week. They released a teaser video with i20 driving around wrapped in black. People are sugesting that Bakkerud will be there.